On Memorial Day we planned, like a million others, to grill hamburgers at home. We invited our family that lives here and some dear friends of ours, from a town nearby. Now for a menu! 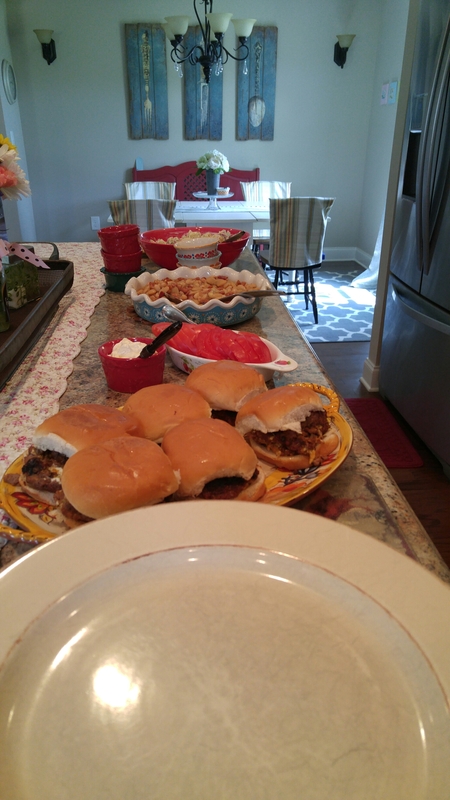 Of course we’d make the famous stuffed burgers I’ve shared here before, but the whole picnic is wrapped around the sides! If you don’t have something great, it’s just another picnic! Alli offered to bring dessert – a Peach Crostata – yum! But she begged asked if I’d make the Triple-Bean Bake with Bacon that I’ve made for about five years now. I’m not a huge fan of Baked beans, but this recipe has changed that! Our whole family loves this dish, and our guests on Memorial Day raved, too! I also decided I had to make my favorite potato salad, which is Barefoot Contessa’s recipe. It’s sooo yummy! In a Dutch oven, cook bacon over medium heat until crisp. Remove to paper towels with a slotted spoon; drain, reserving 1 tablespoon drippings. Add onion to drippings; cook and stir over medium heat until tender. Stir in the remaining ingredients; return bacon to pan. Transfer to a greased 2-qt. baking dish. Cover and bake at 325° for 30-35 minutes or until heated through. Uncover and bake until desired consistency. Yield: 8 servings. I have to end with sharing one sweet frozen treat I made for our Bible Club this week. Since we were finishing the Wordless Book and talking about the Green page, I wanted a green snack. Well, it turned out yellow, but it tasted so good the children didn’t mind! Here’s my tweak on a recipe I found. Mix and pour into molds. Freeze until set. Enjoy! The children and I really enjoyed these last week after having Bible club outside on a hot day! They’re so refreshing! They only took a few minutes to mix together the night before and they literally cost me pennies! I’m anxious to try out some other recipes with my molds. 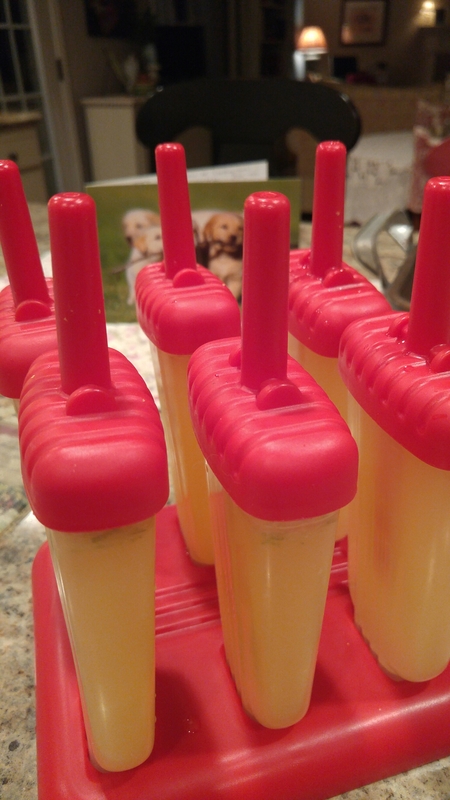 Does anyone have a great frozen yogurt pop you’ve made and love?